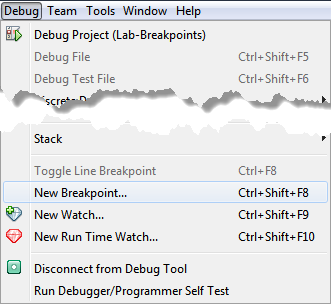 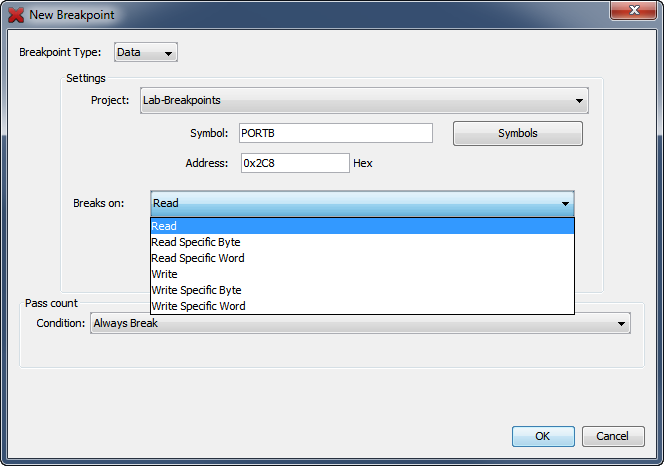 In the Breakpoint Type drop-down box, choose Data. 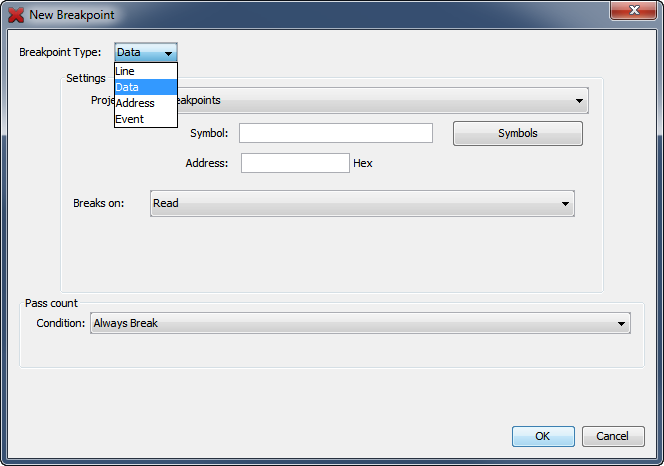 Choose a data memory location by its Symbol or its Address. 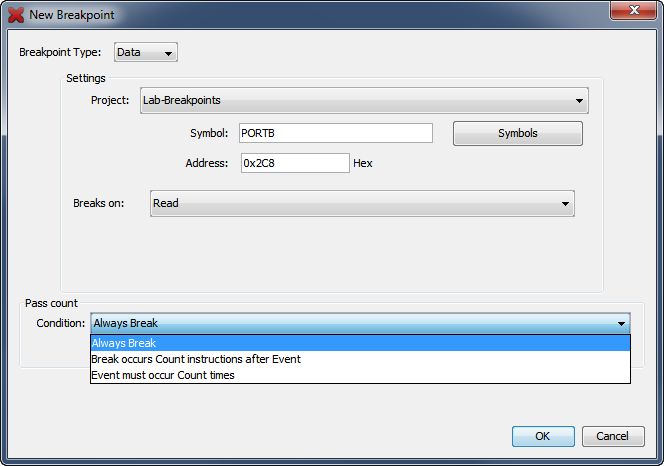 If choosing by symbol, click on the Symbols button. 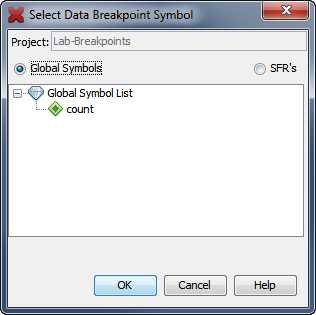 To set a breakpoint on a global variable, select the Global Symbols radio button, then choose the variable name from the list. 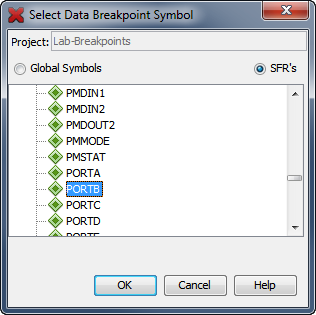 To set a breakpoint on a Special Function Register (SFR), select the SFR radio button, then choose the register name from the list.